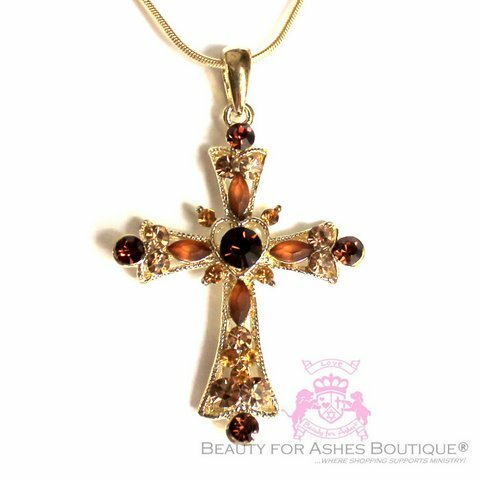 This gorgeous cross pendant shows Austrian crystals in coffee tones, cocoa brown, warm tan and golden topaz in a Cross measures 2 inches. Snake chain is 18 inches in Goldtone! Clearance Priced.